Some hosting company has more strict access control for web hosting. one of the restriction is to prevent the 'nobody' user from sending email with no authentication. For drupal hosting in these company, the default email function of drupal will not work, We have to install the SMTP module to support email functionality. 1. First just download the module and extract it under the modules directory as any other module installation. 3. 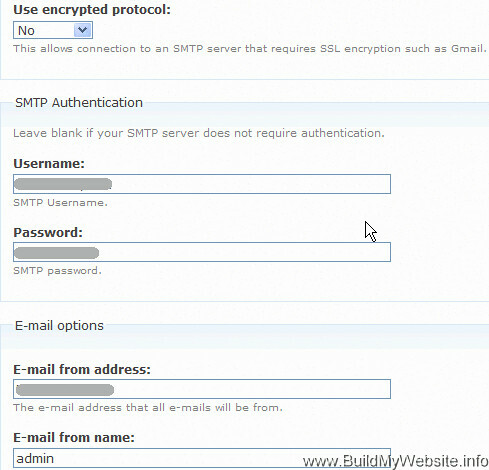 Go to 'Site configuration->SMTP Authentication Support' to configure the module. and this is where the tricky thing happen. 4. Filling the smtp server setting is easy , we could get this information by creating email account in our web hosting cpanel. 5. Now comes the difficult part: we fill in information for SMTP authentication, you should remember that SMTP require all the sendmail operation be authenticated before sending the mail. 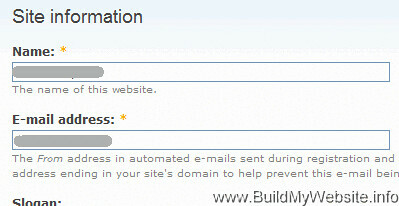 So we have to create our email account in the cpanel and fill in the account information here. 6. Sending testing email to verify the setting by filling your testing email, nothing happen, YES, no error log and no email sentto your account. Now you wonder where 's the problem. It cost me a lot of time and that is why I wrote this article in case someday you come across it. The secret is in the 'Site Configuration->Site Information'. THE EMAIL IN THE SITE INFORMATION SHOULD BE THE SAME WITH THE EMAIL IN SMTP AUTHENTICATION your 're using or your mail goes nowhere.